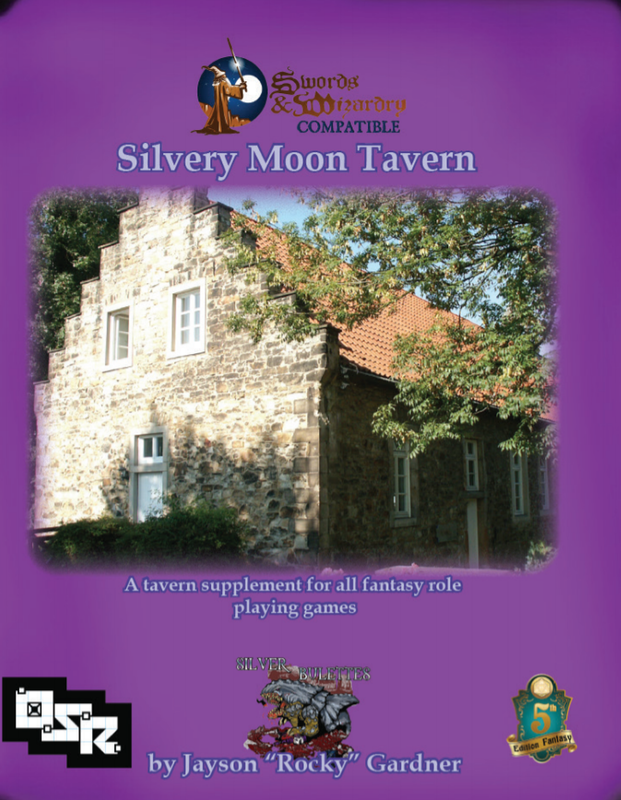 The Silvery Moon Tavern by Jayson "Rocky" Gardner of Silver Bulette is a system neutral supplement book that goes into great detail of a tavern that can be thrown into your own gaming world. This books goes into great detail about a tavern, The Silvery Moon, including the history of the tavern, the surrounding area (though you can easily place the tavern in your world), the staff, customers/patrons, food/drink, entertainment, accommodations and magic items. There are twelve staff members described in this book and a portrait for each one. Each one has a small flavor text, description, personality traits and plot hooks. They each have at least two plot hooks, if not more. The plot hooks involve things such as things happening in the surrounding areas, the NPC's past, an NPC wanting to get something from another NPC and other situations. The information for each staff member is short but it's all you need to grow them into NPCs your players will love or love to hate. My personal favorite is Adriana Chastane. Though, I tend to play with kids so her situation might be a little too mature for them. In this book there are two types of customers/patrons: Adventuring Party and Commoner. There are a total of five different Adventuring Parties with a total of twenty-three adventurers that are named and include a brief description. Included is a table to create a random Adventuring Party Name. There are a total of forty-eight commoners that are named and include their profession, if any. There is a lot of information that details all the different kinds of food and drinks that are and can be served in The Silvery Moon Tavern. There is a huge list of different types of food and drinks and also there is a 1d6 roll rule that can be used to determine if the requested item is available. This is determined by the rarity of the item. The more rare/exotic the item the lease likely it will be available. 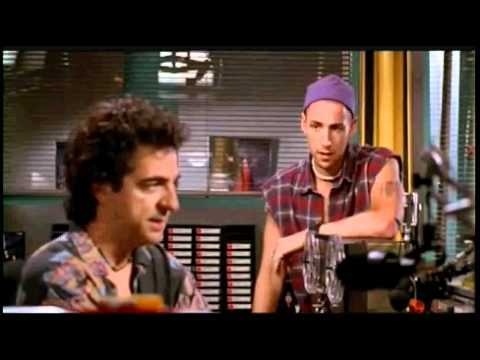 Honestly, there is enough information on the alcoholic drinks that a GM could create a small drink menu that they could handout to their players. There is information on nine different entertainers that could be found in The Silvery Moon Tavern. And there is information on five different games that are played in the tavern. Also, there is a dedicated room in the tavern for the games (the gambling area). There are four different types of rooms in the tavern. The prices are not listed for them, though, the suggested price range are from a few coppers to one-hundred gold or more. There is information on twelve different types of mundane magical items. For example, a knife that seasons the food as it is being cut. These are very cool items that are so basic but yet very creative. Lastly, I want to mention that throughout this book there are text blocks, "Writer's Notes," that give suggestions, advice and tips on how to use everything in this book. A lot of it is for new GMs who are wanting to get into gaming. This book and your rule system of choosing is a great start for any new GM. There is plenty of information in this book for a GM to create their own sandbox style game from using the plot hooks and information on the surrounding area. Just take this tavern and create a small village/town around it or even just place it at a crossroads and let your players interact with the NPCs and they will quickly decide what adventures they would like to go on! Thanks for the review. I'm going to check this one out now.